Get your own Ash Hat Pikachu in Pokemon Go using the app's AR-powered Photo Mode. Pokemon Go players should be on high alert. 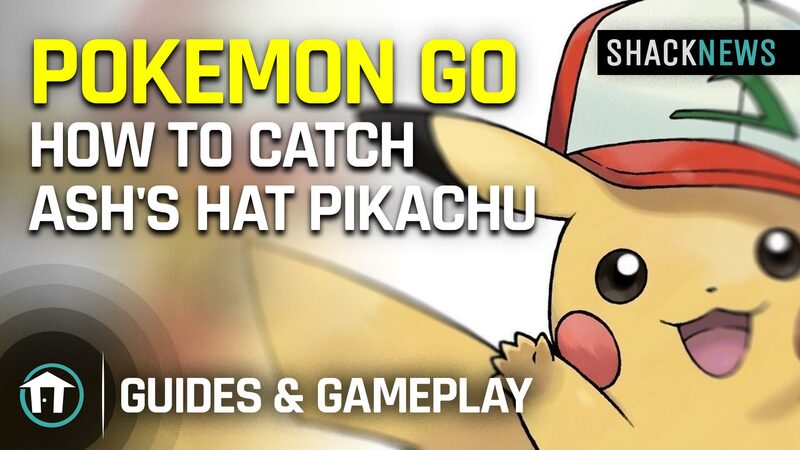 It looks like an adorable little Pikachu wearing Ash's iconic hat has begun appearing in-game. Want to catch one of your own? We've got everything you need to know about bagging one of these little guys on your own. Pikachu is already cute on its own, so seeing it rocking Ash's hat is a rare treat. If you want to see one of your own, it's quite easy to jump into Pokemon Go and find. The adorable little Pokemon is waiting patiently for you to open the app and give you the photobombing of your life. To get the hat-wearing Pikachu, take a photo of a Pokemon in AR+ mode. Like the previous Pokemon that behaved in a similar manner to this, Smeargle, Pikachu will jump into your shot from the corner and photobomb you, as seen in the video. If you take a photo in AR+ mode, you can close out the photo mode and look on the overworld map to capture one of the special Pokemon. Alternatively, sometimes you may see Ash himself in the lower part of the screen, "pressed" against your phone. If you see Ash, you'll be able to capture the Pikachu, too. Ash is rarer than Pikachu, of course, but keep an eye out for him just the same. Many players, as reported via the Silph Road subreddit, have stated that they're seeing the Pikachu pop up when they first try out the Photo Mode. You can encounter five of the Ash and Pikachu photobombs per day, even if you don't try to capture the hat-clad Pikachu. Players are still continuing to find the Pikachu, as of today (that's where we got the above footage), but there's currently no word on how long the event is going to last. If you want to add a hat-wearing Pikachu to your collection, you're going to want to hurry to do so just in case the event ends later today or even sooner than that. We can't say for sure right now, but err on the side of caution.